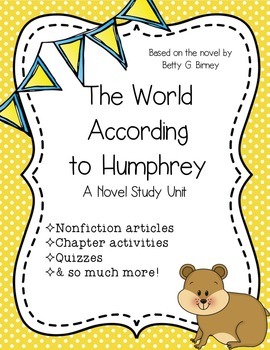 This is a novel study for The World According to Humphrey by Betty G. Birney. This product has 37 pages of student work and an answer key. 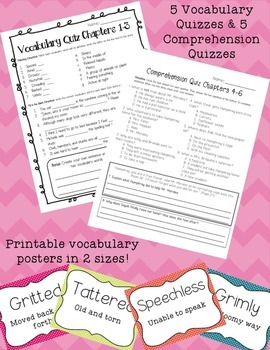 It also has 32 pages of vocabulary posters! I hope you enjoy this product with your students as much as I did with mine, and I also hope you take the time to leave a review! If you like this product, you might also enjoy my Humphrey Writing Tasks. 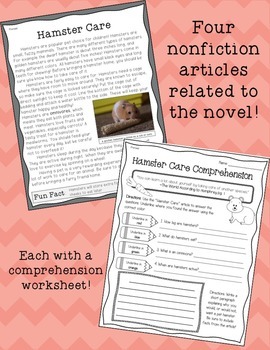 This packet includes everything you need to teach your students the three necessary styles of writing: narrative, opinion, and explanatory... all with prompts that connect to The World According to Humphrey. 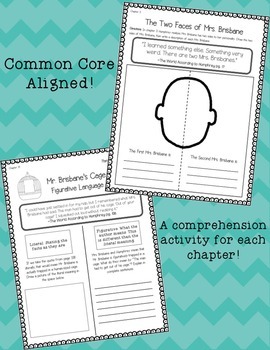 Check it out for a well-rounded Humphrey unit!